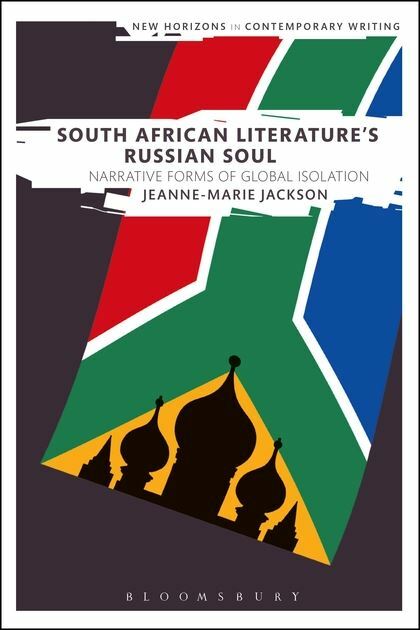 My first book, South African Literature’s Russian Soul: Narrative Forms of Global Isolation, was published in late 2015, paperback 2017 (Bloomsbury). It is centrally concerned with how Russia’s nineteenth-century “Golden Age” of literature and ideas provides a model for the study of South African forms and epistemologies both during and after apartheid. It also advances a broader argument for realism’s maturation through deep social and historical remove. Through paired readings of nineteenth-century Russian texts and their South African successors, the book ultimately asks how traditions marked by a formative sense of isolation in the world make us ask harder questions about the “global” as a method and analytic category. South African Literature’s Russian Soul is available through its Bloomsbury website title page and on Amazon.com. The book’s Introduction is posted on my academia.edu page with Bloomsbury’s permission, and citation details are available through the links above.